Essen is not only the third-greenest city in Germany, but has been named “European Green Capital” in 2017. The European Commission specifically justified this decision by highlighting the successful structural transformation from a coal and steel city to the greenest city in North Rhine-Westphalia. Essen has set new standards for the Ruhr region and many European cities with its holistic approach. The city is 9.2% green, with 718 green spaces and large parks, 1750 hectares of natural public forest, a major European nature conservation area and a well-designed 300km network of cycle paths. And the green transformation goes even further: The natural restoration of the Emscher will be complete in 2020, the results of KlimaExpo.NRW will be presented in 2022, and in 2027 the region is organising the International Garden Expo. Another symbol of the city’s green and sustainable credentials is the Fairtrade City award it received in 2013. 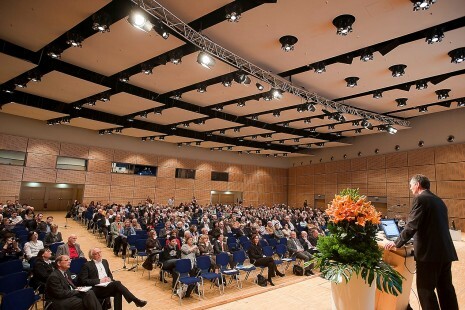 "Green Meetings", theory of marketinghe environmentally sound and sustainable organisation of events and the corresponding offer of green event venues are also becoming ever more relevant for the event industry and the partners of EMG - Essen Marketing GmbH. Issues surrounding mobility, energy and climate are of key importance, along with areas such as resources, catering and communication.